It’s that time of year! Let the drunken’ fun holiday parties commence! 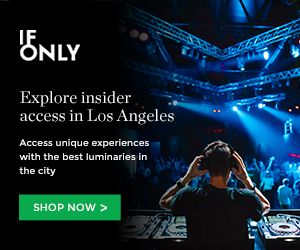 If you ever been to Tony Alva and Richard Villa III’s totally radical, Exhibit A Gallery, you know they put on the best events with some amazing displays of art and skate culture! Check it out! 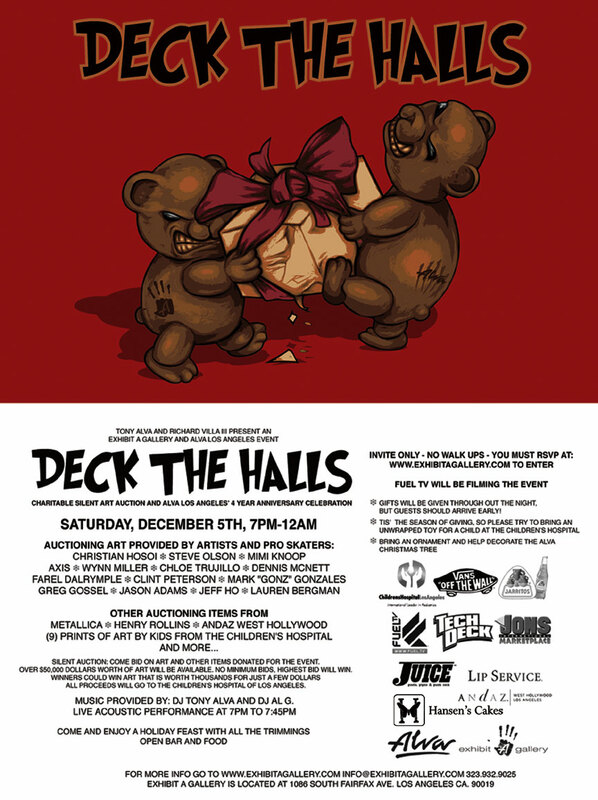 Going off this Saturday, Dec. 5, ho ho ho your way down to the Exhibit A Gallery for “Deck The Halls.” As a charitable silent art auction and the four-year anniversay of Alva Los Angles, party-up a good time while contributing to a good cause. All proceeds will go to the Children’s Hospital of Los Angeles. Peep the flyer for all the deets! Be sure to RSVP if you wanna get in! And don’t be a grinch, bring an unwrapped toy for a child at the Children’s Hospital! This entry was posted in Skateboarding and tagged alva, Art, art show, deck the halls, exhibit a, Exhibit A Gallery, los angeles, Skateboarding, Tony Alva on December 1, 2009 by Sandra Burciaga Olinger.